At Biddeford Savings, we understand that there is nothing more important than your privacy and security while using our website and Online Banking services. We are committed to taking every precaution to protect and safeguard your privacy. Online fraud can occur when someone poses as a legitimate company to obtain your sensitive personal data and illegally conducts transactions on your existing accounts. Often called “phishing” or “spoofing,” the most current methods of online fraud are fake emails, websites and pop-up windows, or any combination of these. Always keep in mind that Biddeford Savings will never require you to send personal information, including username, password or other online banking credentials, to us via email or pop-up windows. Any unsolicited request for Biddeford Savings account information you receive through emails, websites, or pop-up windows should be considered fraudulent and reported to us immediately. All Internet transactions, such as transfers of funds between Biddeford Savings accounts and third-party bill payment are conducted in a secure (encrypted) environment to protect your privacy. While the Internet has provided great advances in technology that allow ease and convenience for transacting business, it can also provide an entry-way to your personal information if you don’t take the necessary steps to ensure safe and secure online experiences. These tips will help you protect yourself and your information online. NEVER provide any personal information to an inquiry that is originated by someone else. Do not respond to e-mail inquiries even if they appear to be from a legitimate source. No financial institution, business or government agency will request you to confirm personal information. They already have the information if you have conducted business with them before. Do not provide social security numbers, account numbers, credit card numbers, passwords, user name, etc. Memorize all your passwords. Don’t use passwords that can be easily figured out such as children’s names, social security number or date of birth. Use a mix of upper and lowercase letters and symbols when creating a password. Change your password periodically. Safeguard your social security number. When a Social Security number is requested to sign up for a service, confirm that it is actually needed rather than some other identifier. Don’t write your social security number on your checks. Shred financial or personal documents before discarding. 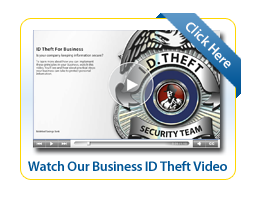 Most fraud and identity theft incidences happen as a result of mail and garbage theft. Utilize paperless options and limit your receipt of paper statements by managing your accounts online. Checking your balances online can help you regularly monitor your account activity and more quickly detect any fraudulent transactions. Receive and pay bills online with Bill Pay. The fewer personal documents sent through the mail, the less chance there is for possible fraud. Always use a secure Web site when submitting credit card or other personal information in transactions that you initiate. Make sure you have a firewall in place. Monitor your bank, credit card and other accounts regularly to ensure that all transactions are legitimate. Be suspicious of any e-mail notifications requiring you to act immediately to prevent an account from being closed or voided. Don’t use links that are provided in any suspicious e-mails. Contact Biddeford Savings if you become suspicious of any e-mail alleging to come from the bank. Consider implementing clear segregation of duties and responsibilities performed by personnel such that no single person can initiate, approve, execute and enter transactions into a system in a manner that would enable fraudulent actions to be perpetrated and concealed. Update and install anti-virus and anti-spyware software to your computers regularly. Make sure that your firewall is turned on and that it is properly set. Copy all your important files that are stored on your computer onto a removable disk and store in a secure place. Put a policy and process in place to terminate computer access for employees leaving the company. Biddeford Savings works hard to secure our Online Banking services so our customers have the confidence that their information is being protected. We are proud to deliver the highest level of security for our Online Banking customers. Biddeford Savings uses multi-factor authentication to provide protection against fraudulent attacks such as phishing, spoofing, key logging, and identity theft. The first level of multi-factor authentication are security questions and answers that only you know the answers to. When you register for Online Banking, you are required to select challenge questions and answers that can later be used to verify your identity if a suspicious login is attempted. The second level of multi-factor authentication is the device(s) you use to log in to Online Banking. If our system doesn't recognize the device as "trusted", you will automatically be presented with your challenge questions to confirm your identity. Note: Only register personal computers and mobile devices that you frequently use and are not available for public use. Our Online Banking solution brings together a combination of industry-approved security technologies to protect data for the bank and for you, our customer. It features a Tru-Secure Certification for the server, Secure Sockets Layer (SSL) protocol for data encryption and a router loaded with a firewall to regulate the inflow and outflow of server traffic. Once the server session is established, the user and the server are in a secured environment. Because the server has been certified as a 128-bit secure server by Tru-Secure, data traveling between the user and the server is encrypted with Secure Sockets Layer (SSL) protocol. With SSL, data that travels between the bank and customer is encrypted and can only be decrypted with the public and private key pair. In short, the bank's server issues a public key to the end user's browser and creates a temporary private key. These two keys are the only combination possible for that session. When the session is complete, the keys expire and the whole process starts over when a new user starts a server session. Requests must filter through a router and firewall before they are permitted to reach the server. A router (a piece of hardware) works in conjunction with the firewall (a piece of software) to block and direct traffic coming to the server. The configuration begins by disallowing ALL traffic, and then opens holes only when necessary to process acceptable data requests, such as retrieving web pages or sending customer requests to the bank. Using the above technologies, your Internet banking activities at this site are secure. Identity theft occurs when someone uses your personally identifying information, such as your name, Social Security number, or credit card number, without your permission, to commit fraud or other crimes. The Federal Trade Commission has online guidance about the steps consumers can take to protect themselves against identity theft. 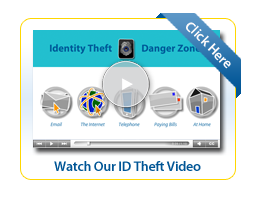 For more information about identity theft, visit the FTC website. As a consumer, you are protected by federal law against loss due to fraudulent activity provided you notify Biddeford Savings in a timely manner of suspect transactions or compromised, stolen, or lost account information or access devices. This includes all electronic transfers such as ATM and debit card activity, electronic checks, and ACH. In the event you become aware of suspicious account activity or are victimized by the theft of any of your personal information, immediate action is mandatory to minimize the damage. File a crime report with your local Police department and request a copy. Contact Biddeford Savings Deposit Services Department at 207-284-5906 or toll free at 1-866-767-8265 and all of your creditors by telephone immediately to report the situation. Follow up your call with a letter outlining the suspected fraud. If you have specific questions about account fraud, identity theft, or how we help protect your account information, please give us a call. We're always here to help!